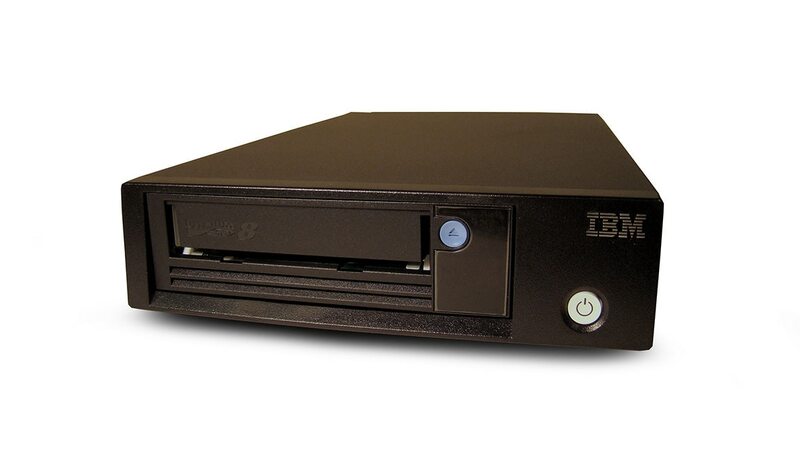 IBM® TS2280 Tape Drive incorporates the latest generation of Linear Tape-Open (LTO) technology, delivering even higher capacity than the previous generation. In addition to backup, TS2280 is designed to help your business handle the growing data demands of modern tape use cases like cloud, Internet of Things (IoT), and active file archive. By providing a physical storage capacity of up to 30 TB per cartridge (with 2.5:1 compression), TS2280 is an excellent tape storage solution for small and medium businesses requiring backup and low-cost, archival storage of data. Gain 2X the storage capacity in the same footprint. Store up to 30 TB (compressed) per cartridge—twice the capacity of previous-generation LTO cartridges. Make tape-based data easy to access. IBM Spectrum Archive™ supports the tape-oriented IBM Linear Tape File System™ (IBM LTFS). Enhance security and compliance with data encryption and Write Once Read Many (WORM) support. Compact external enclosure enables portability and flexible installation (desktop or fits two TS2280s side-by-side on 19-inch rack shelf). Integration with IBM Spectrum Protect™ allows users to create, manage and archive, including concurrent copies of content, plus active, inactive and offsite content. Cross-platform, open systems support helps integrate high-capacity tape backups with a variety of systems running Microsoft Windows or UNIX operating systems.